Spring and summer are party seasons and no matter where we go, I like to take party food. Garlic Parmesan Wings are a great creation and don’t take a ton of time to prepare. There are multiple ways to prepare great wings, but I believe in the path of least resistance: oil-less frying. Oil clean up in the bottom of a fryer is not my idea of lavish living, so I avoid it at all costs. I don’t want to clean up grease, and feel gross from all the oil sludge in a fryer, after I create these little treats, so oil free frying is a treat. My few ingredients to successful Garlic Parmesan Wings will have you lip-smacking, for more, while creating, crunchy, and juicy appetizers. Wings come in so many flavors, but basic flavors seem to get lost in translation as restaurants are always trying to trick out your taste-buds with something new and sensational. I am old school, and find that these are grand party appetizers, and the perfect treat to bring with you or create for any upcoming celebration. Lavishly Live food out loud with this deliciously easy recipe. You can place back in fryer to crisp or serve them. Do not stack wings on top of each other, keep separated so they cook . Make sure to coat each chicken wing and then sprinkle generously with Parmesan Cheese. 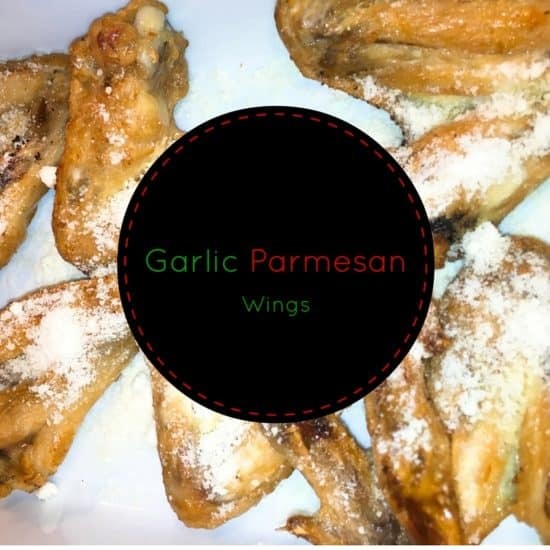 You will love how easy it is to make Garlic Parmesan Wings In fact, you could prepare these ahead, and toss under the broiler to get them crisped up for the party ahead of time. These also cook well on the grill Key to getting a wing cooked properly is the bit of oil that you will spray the wing with. 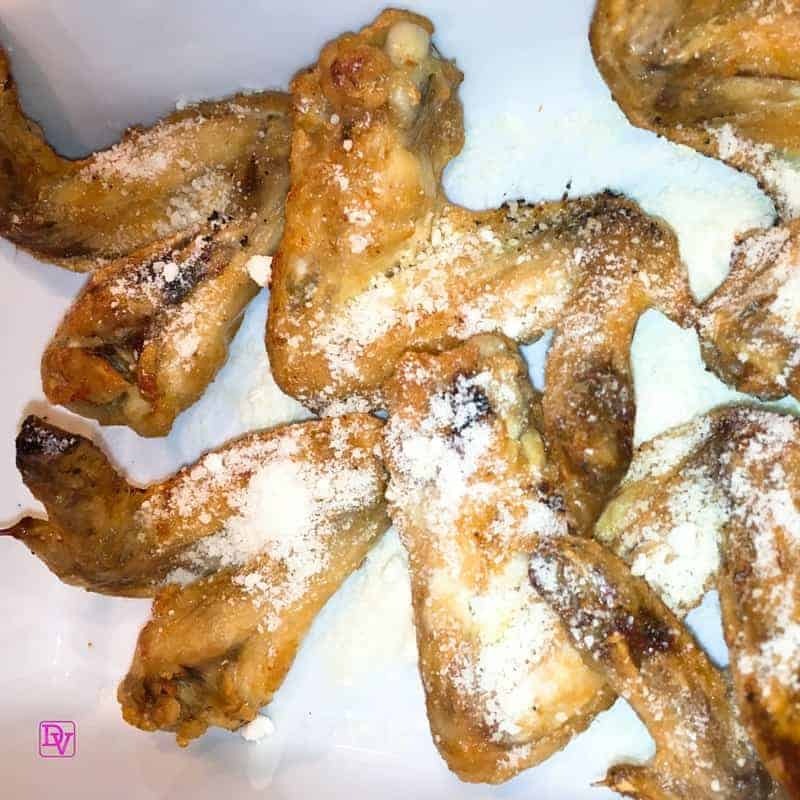 Lavishly live food out loud and enjoy this recipe for Garlic Parmesan Wings. Sounds like a good recipe, My wife should know about this, Glad you shared this. Oh your post is making me crave garlic wings! I usually order it in our favorite restaurant, but didn’t think about making them on my own! Thanks for your recipe! Love it! I love garlic parmesan wings! I usually get them when we order from our favorite pizza and wing shop, but I really need to start making them at home so I can have them whenever I want. Sounds great to me. I am old school too. Classics never go out of style. Garlic and parmesan is a delicious combination. I haven’t tried this combo on chicken , though. I am saving your recipe for later. These look delicious! What a super yummy treat idea for the family. Thinking I am totally going to make these! Brandy recently posted..Do you have a Chip on your Shoulder? That looks delicious! We love wings at my house and I can’t wait to try these out. These would be great for freezer meals too. I am sure. You had me at Wings. I eat wings all the time. In fact, I just ordered wings for dinner. I’m going to try and make these. Yum! A classic flavor combination for one of the best snacks in the world. I love chicken wings and I love trying out different ways to prepare it, especially during movie night with the kids. Thanks for sharing this awesome recipe! Thank you for this delicious recipe! I didn’t know it was that easy to make Garlic Parmesan wings! I will make a big batch tomorrow for the hubby and kids. I know they’ll definitely love this!